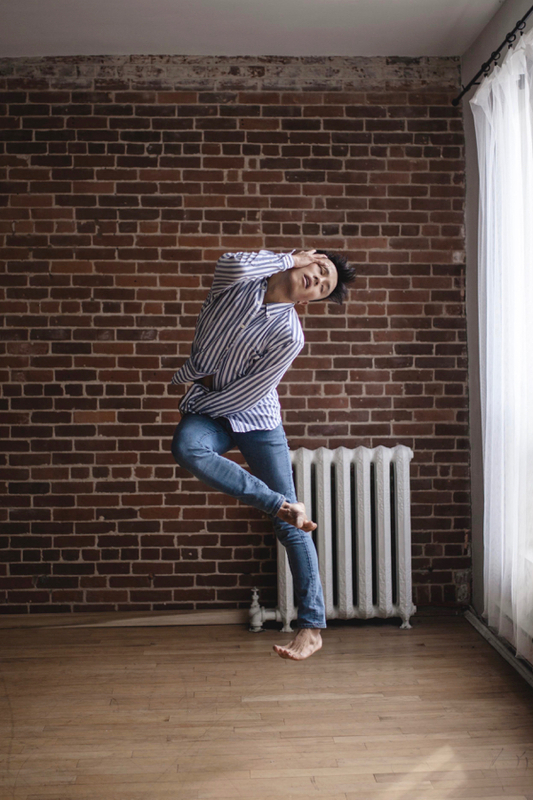 Since stepping into his first dance class, Darian has become a highly desired and versatile dancer, teacher and choreographer from Mississauga, Ontario. Training in diverse styles including, Jazz, Acrobatics, Hip hop, Ballet, Lyrical, Contemporary and the aerial arts; he is continuously recognized for his refined talent and honest performances. As a choreographer his work has been recognized at countless competitions receiving top marks, special awards, and outstanding choreography mentions. Darian has performed in various media such as: The Next Step, A Nutcracker Christmas, Beauty and the Beast, The Strain, Rogers Cup Flashmob, Wingin’ It, and 1-800-Missing and has appeared in numerous advertisements by Coca-Cola, Ford Windstar, Scotiabank, Cineplex and Gerber. As well, Darian has performed in various company performances such as: PEARL choreographed by Daniel Ezralow, Cora Kozaris’ CARNE, Rutherford Movement Exchange’s Ascension, Bridge to Artists Checkmate, The Love Project & EXYST choreographed by Christina Digiuseppe, DABDA at the Toronto Fringe Festival 2013, Arts Under 20’s Fill Up and Get Out, Emimotion’s Survival, POV Dance Project’s Wireless Connections, Limitless The Final Chapter by Scott Fordham. Darian has also performed world wide (Caribbean, Mediterranean, Middle East, and Asia) with Royal Caribbean onboard their Quantum of the Seas in the revolutionary Two70 lounge. He also has choreographed for Meadowvale Theatres production of The Who’s Tommy, various dance studios across the GTA and FRESH Dance Intensive as an apprentice faculty member. Most recently Darian has just returned from China after completing an international tour with PEARL as the productions Dance Captain. Darian is continuing his pursuit of knowledge by attending Ryerson University studying Business Management with a major in Marketing. Darian’s real love for dance is demonstrated through his passionate performance and his dedication to learning and teaching.